One of my favorite memories of Yellowstone from when I visited there in 1974 was what I called the Stink Pots. 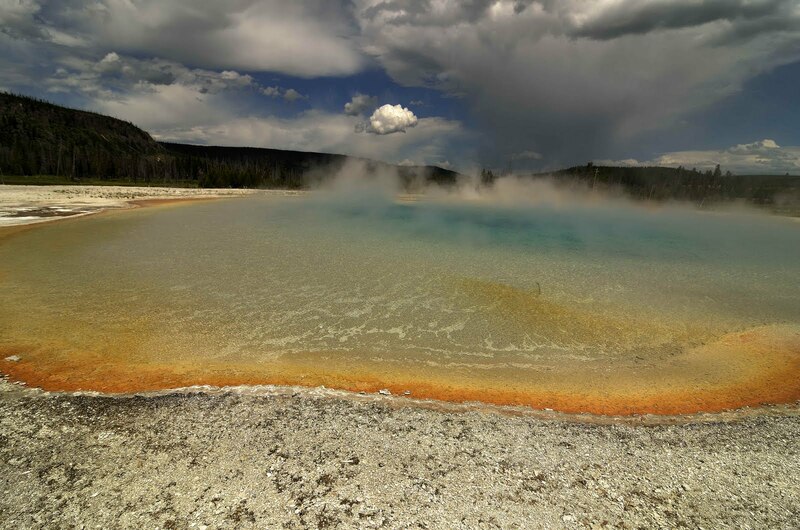 Yellowstone is awesome because of the stuff that is happening on top of soil and beneath it. There are pools of boiling water and boiling mud everywhere. Most of these places stink to high heaven. But I could easily spend all day photographing these amazing places. The colors are amazing. The shapes and textures are out of this world. I am fascinated by the creatures that even call this area home. I wish I could have had a fish eye lens with me - that would have been tons of fun.